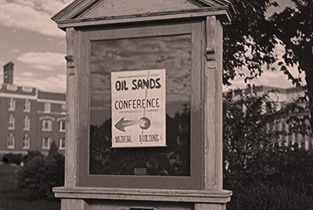 When Lloyd Champion and Oil Sands Ltd. could not keep up with the payments required to maintain their side of the partnership, the Government of Alberta was left to continue alone. 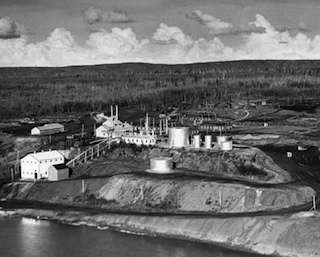 The provincial government did not want to be in the oil sands separation business. 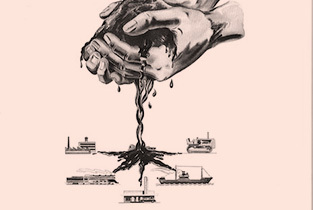 The aim had always been both to launch a private industry producer that would continue to undertake oil sands developments and to demonstrate that oil sands separation was a good investment. 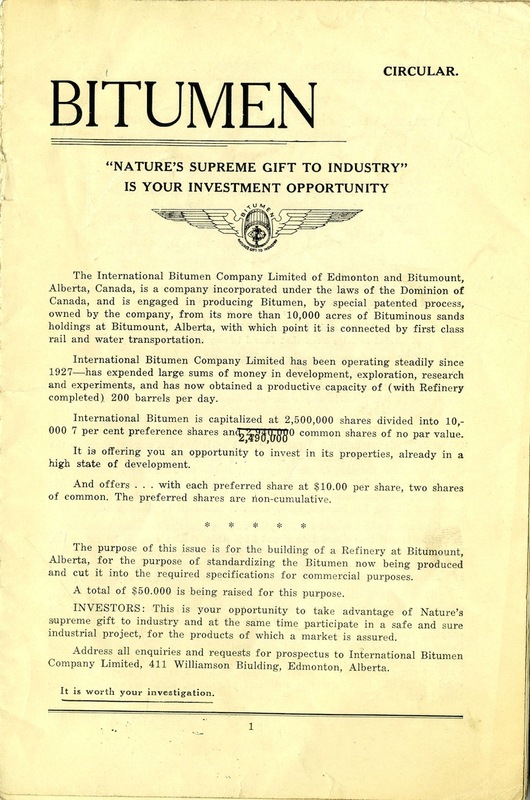 With the departure of the private sector partner, the sole remaining reason for completing the construction of the Bitumount plant was to demonstrate that industrial-scale production of oil from the bituminous sands was possible. 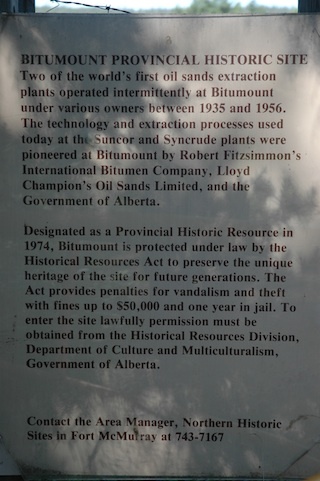 It was never intended that the Alberta government would carry on with its involvement at Bitumount. 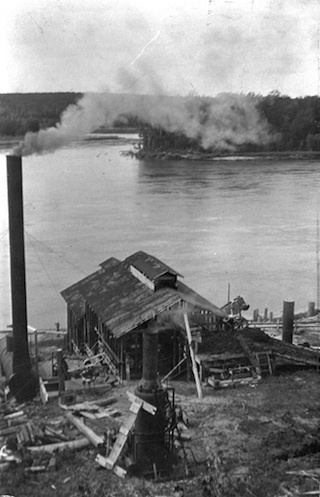 Since there was no commercial partner to operate the plant and demonstrate that it was turning a profit, the government had to find another way of accomplishing this goal. 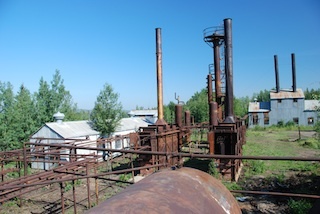 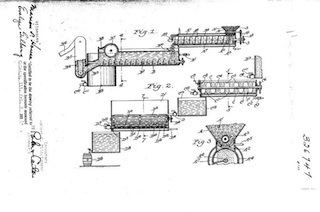 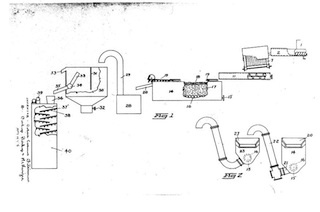 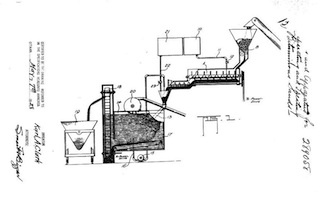 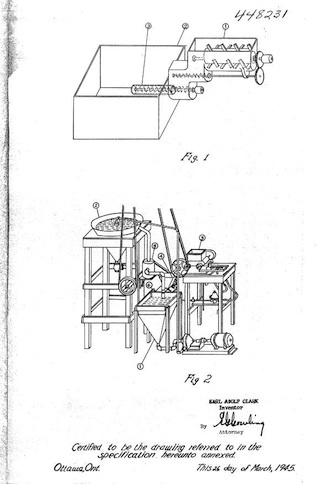 In 1949, the plant was completed and successfully run though the separation and refinement processes. 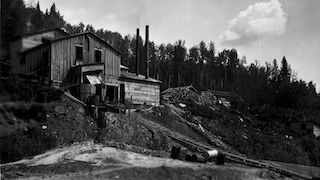 A delegation of Alberta MLAs was invited to be present for a demonstration of the plant in the late summer and was duly impressed with what they saw. 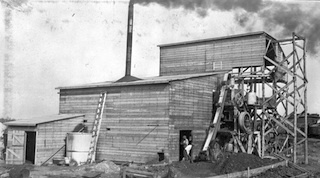 Then, in September, the government brought Sidney Martin Blair to inspect the plant and determine whether it could be operated commercially and turn a profit. 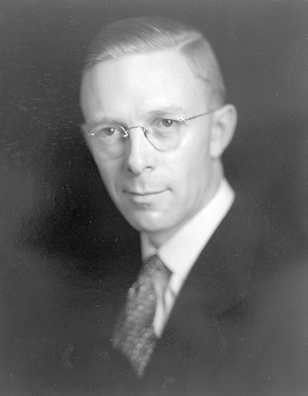 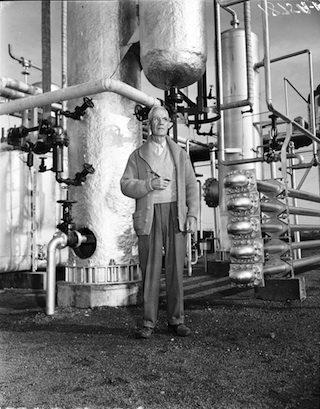 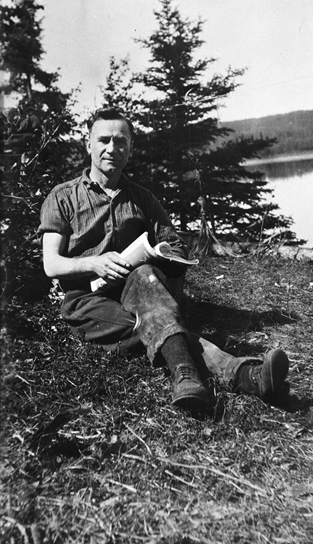 Blair had worked with Karl Clark on the oil sands as a graduate student in the early to mid-1920s. 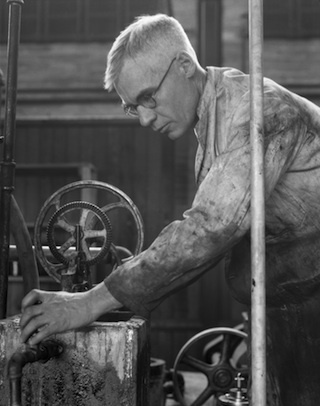 Since then, he had become a respected professional in the oil and gas business. 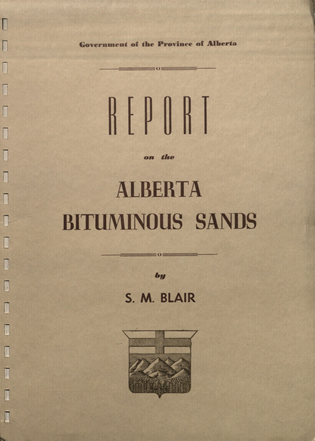 Blair produced a detailed Report on the Alberta Bituminous Sands in 1950. 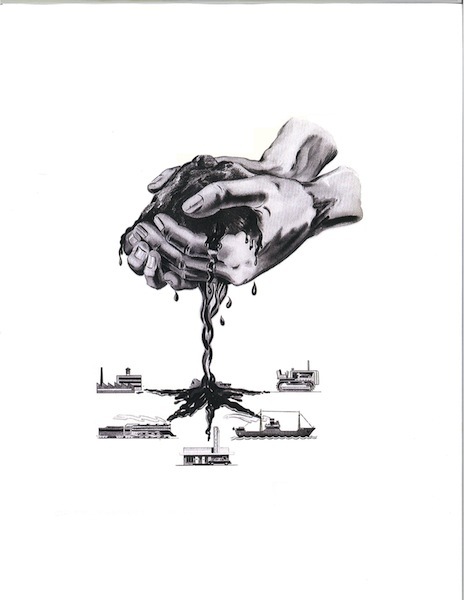 Subsequently known as the “Blair Report,” this document created quite a stir in the oil and gas community. 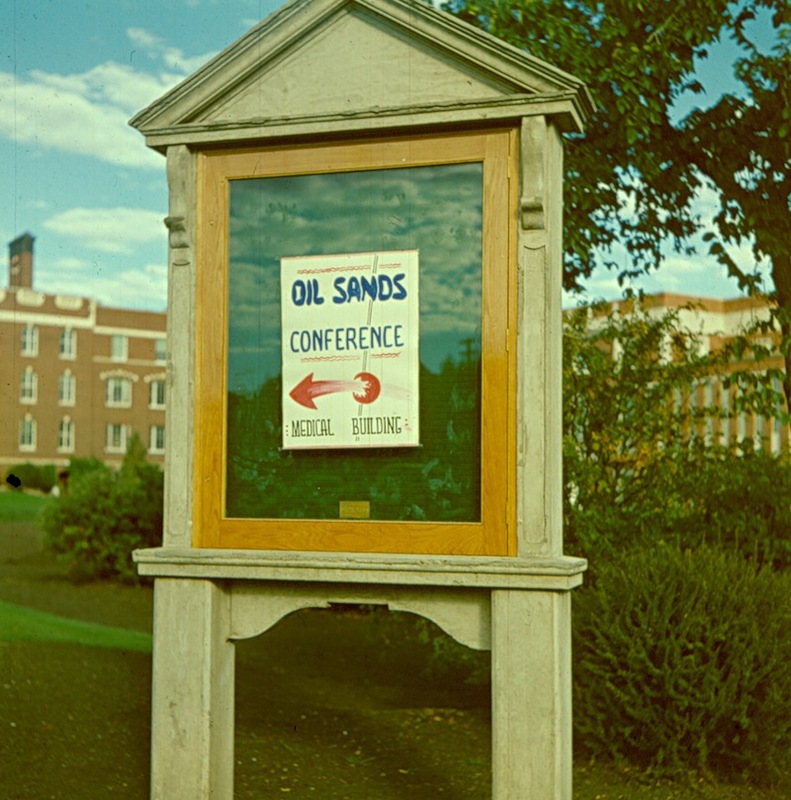 Following up on this buzz, the Athabasca Oil Sands Conference was organized for 1951 to highlight the achievements at Bitumount. 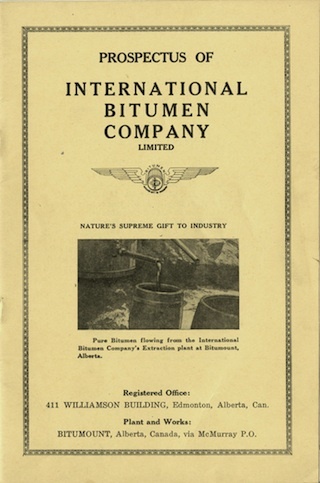 Along with attending presentations of research papers at the University of Alberta, the large group of delegates was transported to Bitumount to see the plant in action. 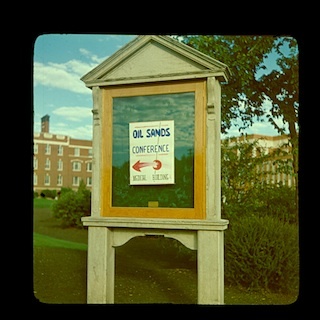 Ultimately, these efforts were not enough to convince industry to commit to starting its own oil sands projects. 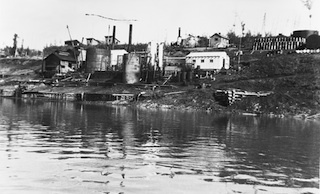 Bitumount was eventually sold, and some modifications were made to the plant, but it essentially stood idle after 1951 and was officially shut down in 1957. 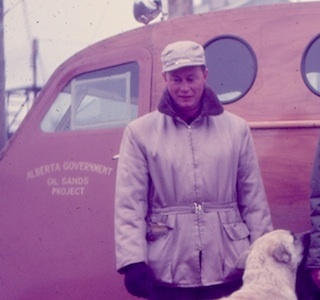 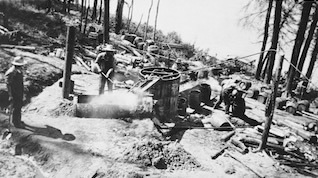 It was not until 1963 that a private sector oil sands project was begun. 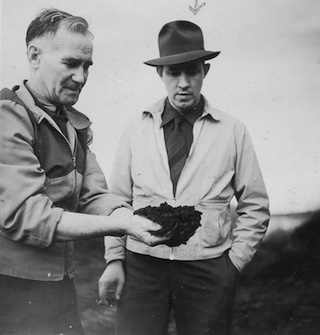 The Blair Report served to draw the attention of the oil industry to the possibilities of the oil sands. 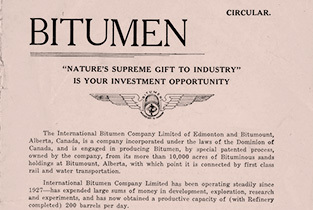 Scientists, engineers and oil industry personnel assembled in Edmonton to share oil sands information and to hear about the Alberta Government Oil Sands Project at Bitumount.